"Arafel": "What on Earth is Wrong with this Country?" Quote; "Disabled person’s suicide shows up the Tories’ cruelty over benefit cuts"
"A 67 year old disabled man set himself on fire outside a job centre after his benefits were cut, an inquest heard last week. These WCA interviews are carried out by private subcontractors such as Atos, Capita and Maximus. There are reports of interviewers asking benefit claimants with mental health issues, “Why haven’t you killed yourself yet?”*" Go to: https://socialistworker.co.uk/art/44563/Disabled+persons+suicide+shows+up+the+Tories+cruelty+over+benefit+cuts For full article. *Italics mine. Many who read this may well think; "Don't be ridiculous that's not true!" "What is on Earth is wrong with this country?" "No more Vietnams!"? How things have changed, when I was growing up this would have been unthinkable but if it had happened those responsible would have been fired and jailed (if they managed to avoid the angry mob during the process)! Quote; "The parallels between Albert Camus's 'The Plague' and London’s growing problem with knife crime"
There was blood on the streets of London. Emergency vehicles swooped and the area was cordoned off and detectives combed Dalston looking for evidence. In the play Dr Rieux is the main narrator and saviour figure (of sorts). In reality, the victim was taken to a London hospital where he was initially described as “critical” but after treatment had become “stable”." Go to: http://www.independent.co.uk/news/long_reads/albert-camus-the-plague-london-violent-knife-crime-police-a7717851.html For full article. "The Plague affects the whole society. Any of us may become victims. All of us are susceptible. The writer of the article sounds like a typical liberal. He enjoys the frisson of violence but retreats from the reality. Rather than confront the nihilism of his society as a whole he would rather find scapegoats and protect his virtue by allowing others to use violence on his behalf whilst averting his eyes. He misses the point." What on Earth is wrong with this country? Quote; "The sorry facts which show the BBC has moved beyond bias, into pure propaganda"
"The BBC Trust is responsible for granting licenses to all BBC outlets and stations, managing value for money on licence fee payments and ‘the direction of BBC editorial and creative output’. The Trust consists of 12 Trustees and is headed by Rona Fairhead – who also happens to have been a longtime board member of HSBC bank. Fairhead has entrenched ties to the Tory government. In fact, she and Osborne are old friends. Fairhead worked for the Conservative government as a cabinet office member, until being appointed by the previous Conservative culture secretary – Sajid Javid – as the new head of the BBC Trust. 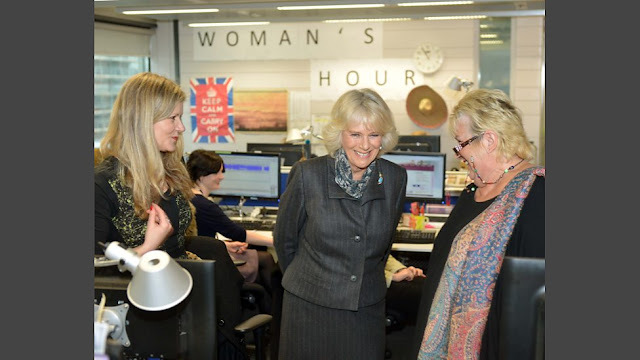 She is still business ambassador for David Cameron. Her appointment does not coincide with the normal process, and many questioned why a business tycoon was right for the job. What it did coincide with was a string of interconnected visits from the BBC, HSBC, the Houses of Parliament and the Financial Conduct Authority (FCA) to Wilson’s website where he details the scam and the FCA and Cameron’s involvement in covering it up. But the conflicts of interest do not stop at Fairhead. The Director of News and Current Affairs at the BBC, James Harding, is a former employee of the Murdoch Press. While Editor of The Times newspaper, he was responsible for exposing the identity of police blogger NightJack by hacking the blogger’s email accounts – which his legal team then covered up during a court case against the action. Harding has also gone on the record as ‘pro Israel’. 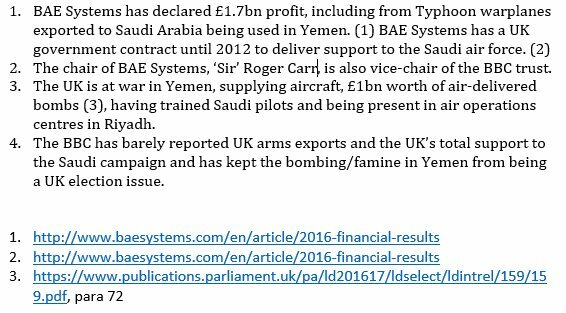 Quote; ""Is there collusion between BBC & BAE to not report on UK support to #Saudi bombing in #Yemen & not make it election issue?" Quote; "Sharp rise in number of acid attacks in London, Met reveals"
"Acid is believed to be a popular weapon for gangs as it is easy to obtain and it can be difficult to identify the attacker. 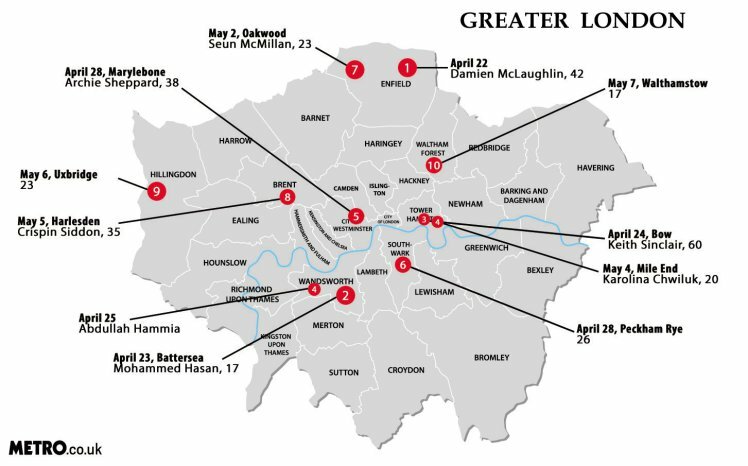 The data, seen by the BBC, revealed that almost a third of these attacks were carried out in Newham and that victims are twice as likely to be male than female. Quote; "Campaigners have hit out at Defra’s approval of a four-year GM potato trial, over concerns it could threaten food safety." "The trial was approved with little fanfare by farming minister George Eustice on 27 April, and will see the potatoes planted in an open field at The Sainsbury Laboratory in Norwich. What on Earth is wrong with this country? !